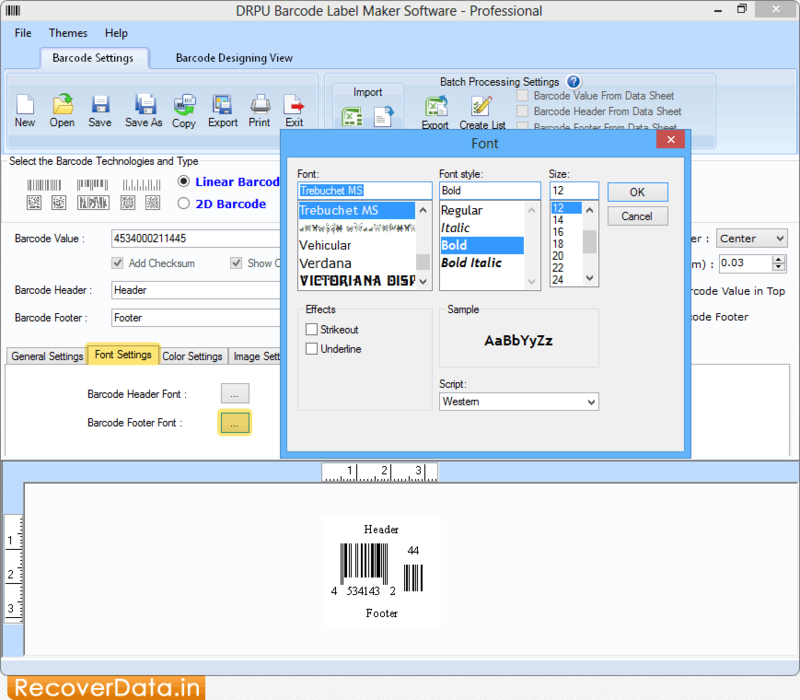 Select any one option among Linear Barcode and 2D Barcode. Now Go to the 'General settings' tab to set Value Margin, Header Margin, Character Margin, etc. Click on 'Font Settings' tab to set 'Barcode Header Font' and 'Barcode Footer Font' accordingly. 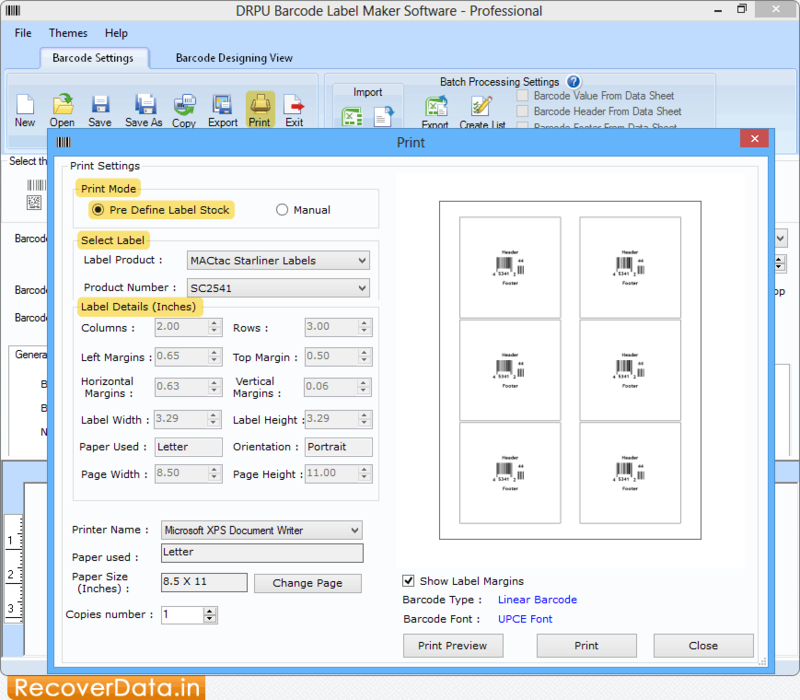 Choose Print Mode either 'Pre Define Label Stock' or 'Manual'. 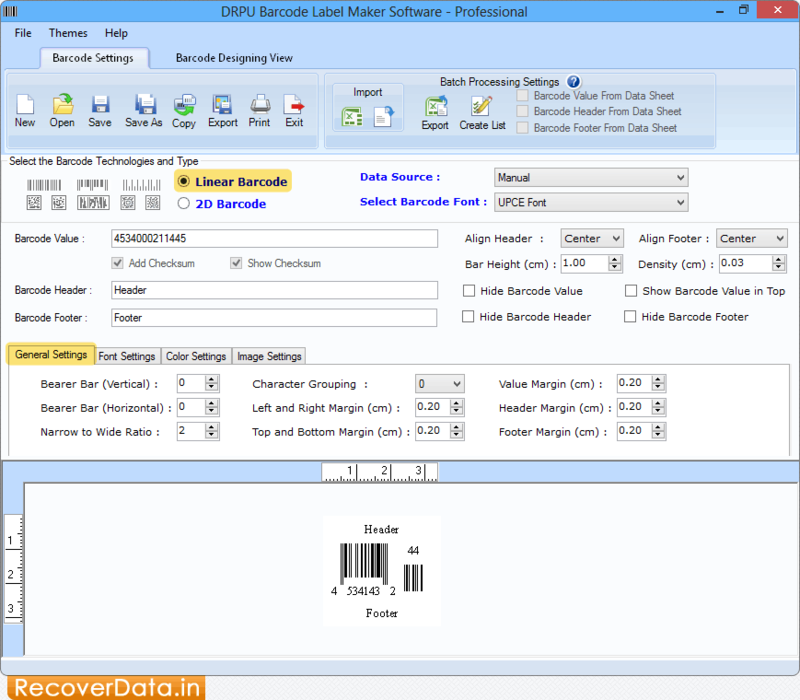 If you will choose Pre Define Label Stock then Select 'Label Product' and 'Product Number' as per need.